Who doesn't love chocolate? It's decadent, dreamy and delightful. I also think the fall is the perfect time indulge in a little chocolate, don't you think? I've put together a few images that show my love for this gorgeous color and scrumptious flavor. 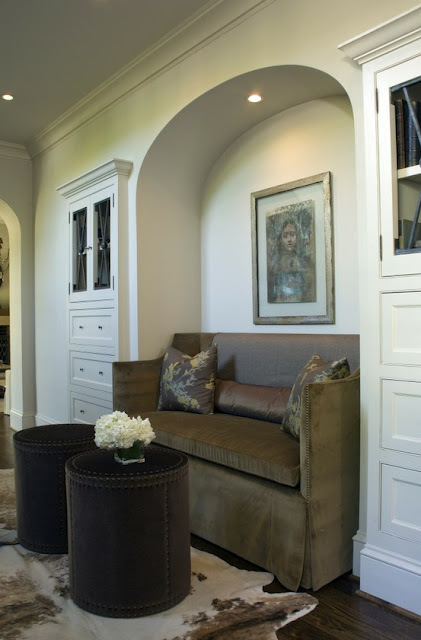 How great is this space?! The table and chairs are dreamy! It could be used as a desk or dining table. 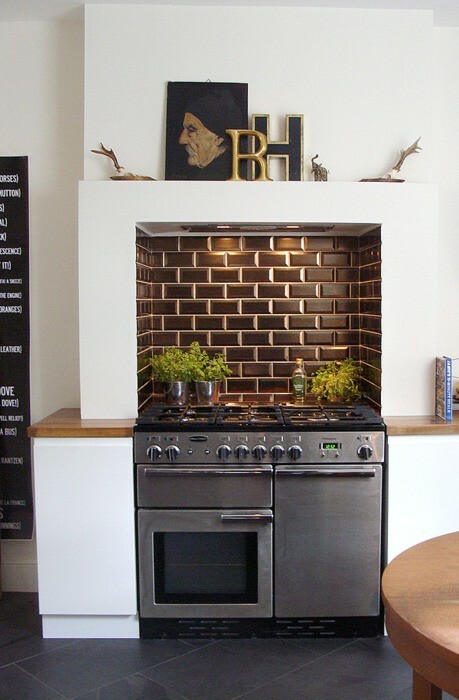 I love a good built-in and this is no exception. Perfection in my book. Hello, handsome stools! 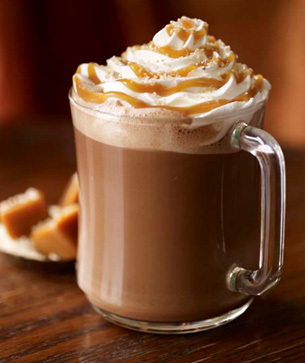 And, while we're on the subject... have you tried the Salted Caramel Hot Chocolate at Starbucks? Delicious! You will absolutely die when you treat yourself to one! P.S. don't even think about looking up the calories on this baby!